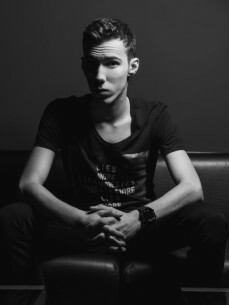 Tom Swoon (formerly known as Pixel Cheese), was born June 6th 1993 in the small city of Goleniow in Poland. His interest in music started at a very young age; Tom was fascinated by rock music and started his very own rock band together with a group of friends when he was just 14. Jamming on the guitar was a daily escape and only fuelled his passion further. At the age of 17, he discovered electronic dance music and was inspired by artists such as Deadmau5 and Daft Punk. Over the next few years, Tom taught himself the art of DJing, gradually improving through constant practice and flexing his mixing skills at a local club between school and at weekends. Once he had perfected these DJ skills, he saved up his earnings and bought a proper DJ setup, transforming himself from a bedroom DJ into an artist with an unrivalled drive for music production.